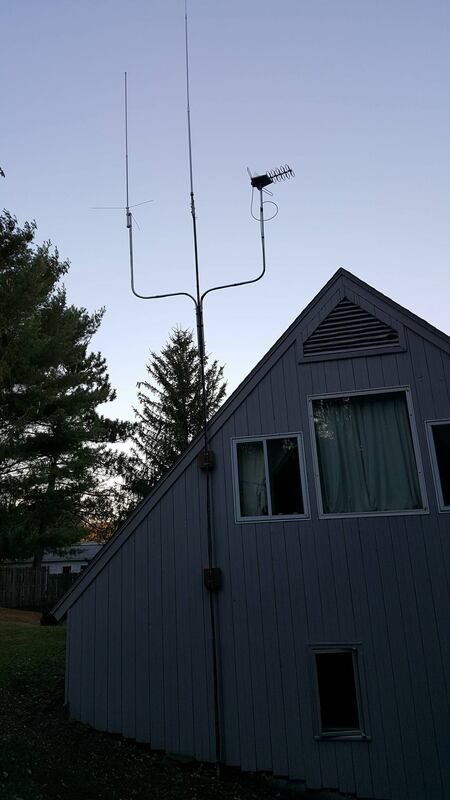 1/4 wave 144/440 mobile mounted on a steel roof on the garage. 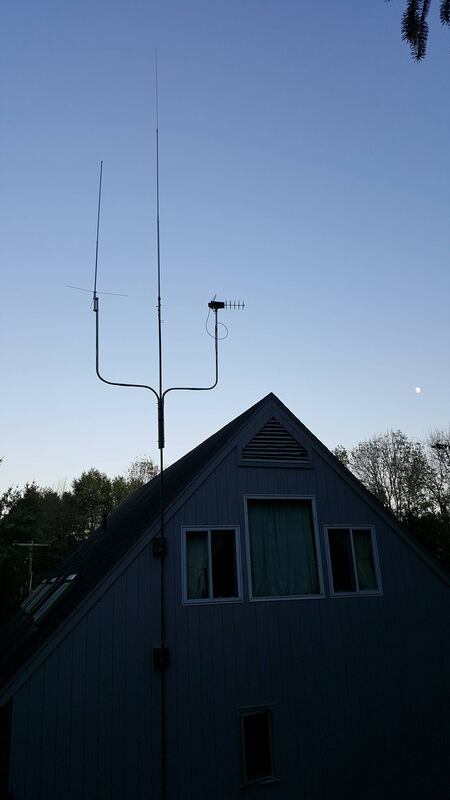 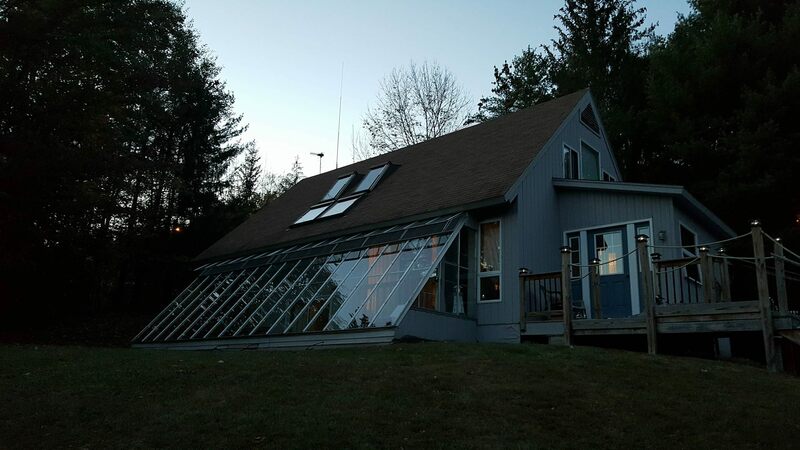 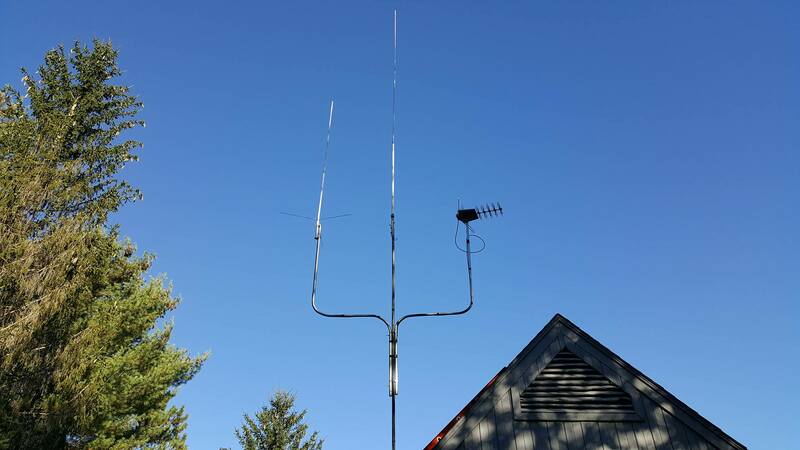 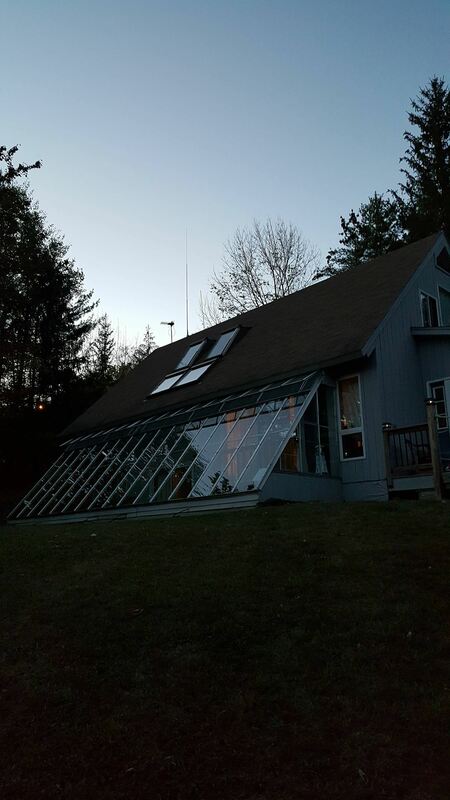 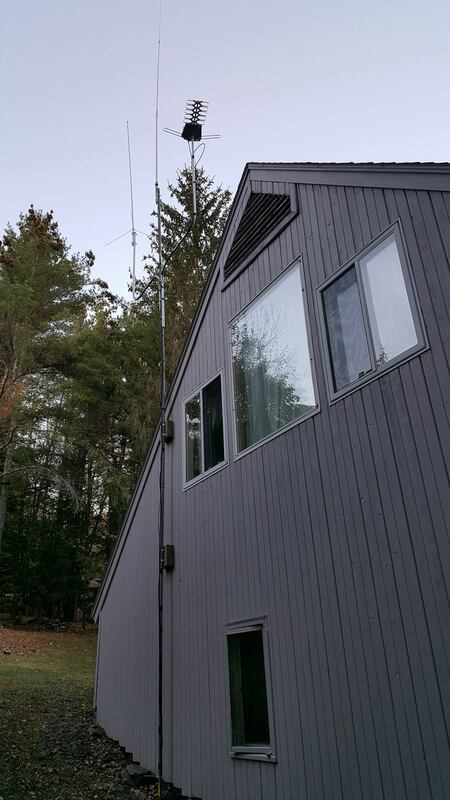 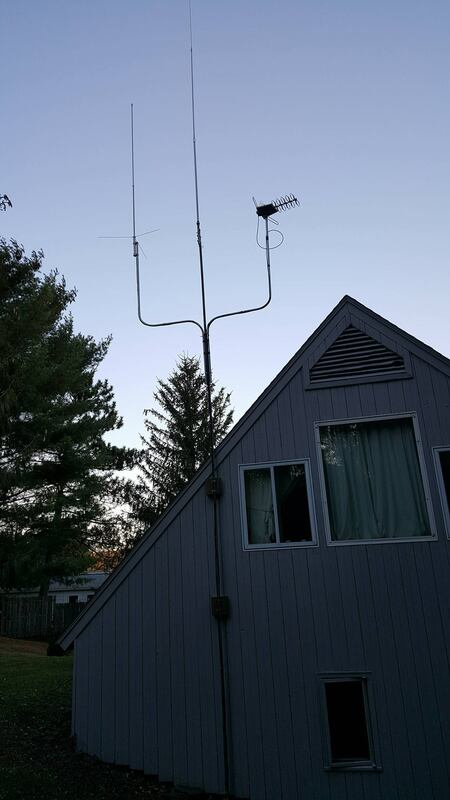 G5RV 10-80 Meter dipole in an inverted V fashion, 30 feet at the peak. 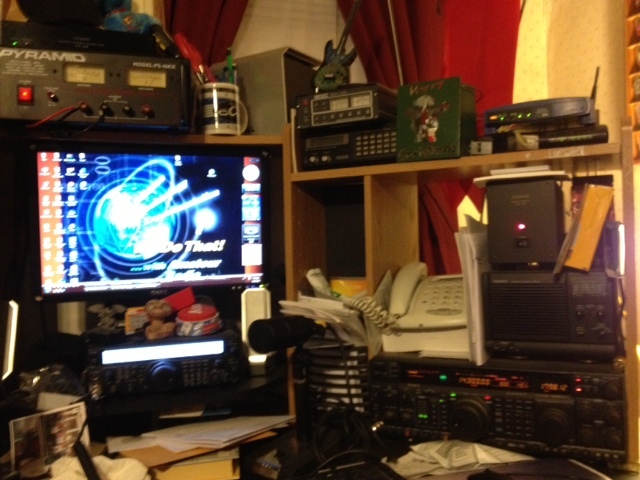 Accessories: Pyramid 40 Amps PSU, Deep Cycle Battery Backup, Heil PR781 Mic, and SP8 Speaker. 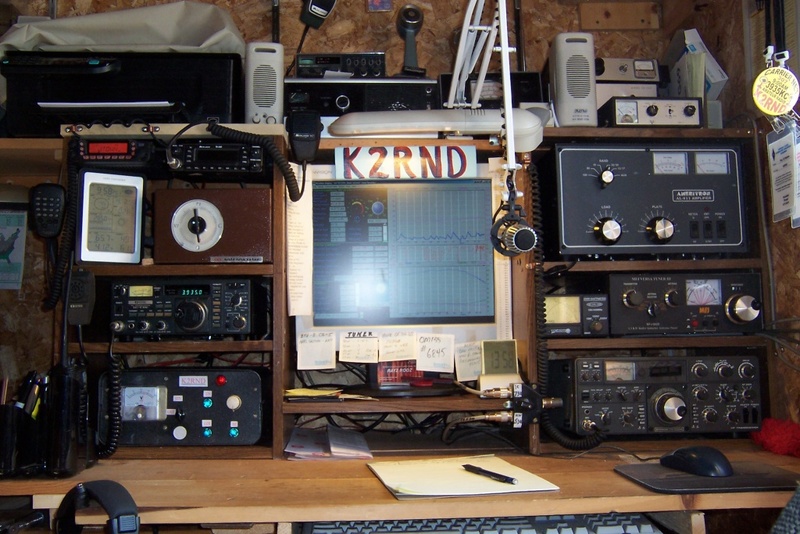 Bob will show us his shack after he cleans it (or so he says). 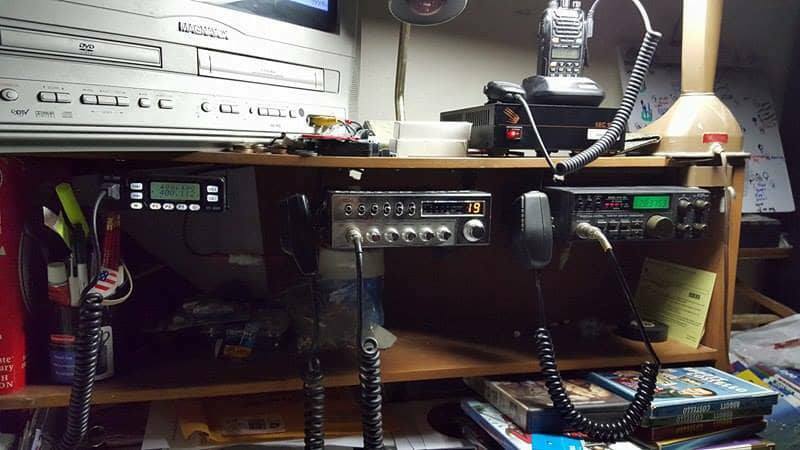 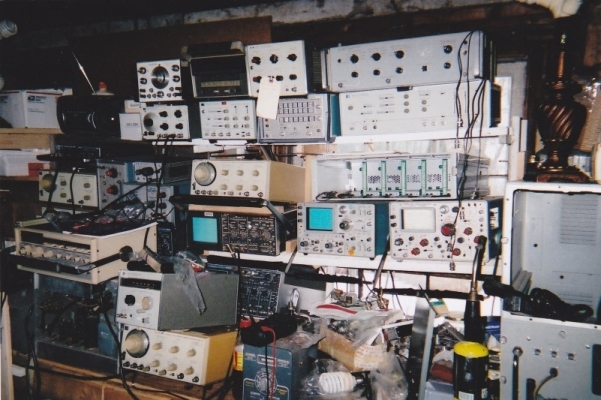 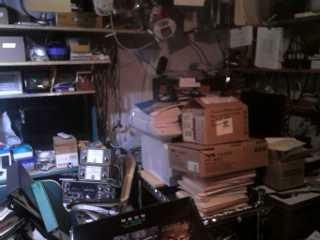 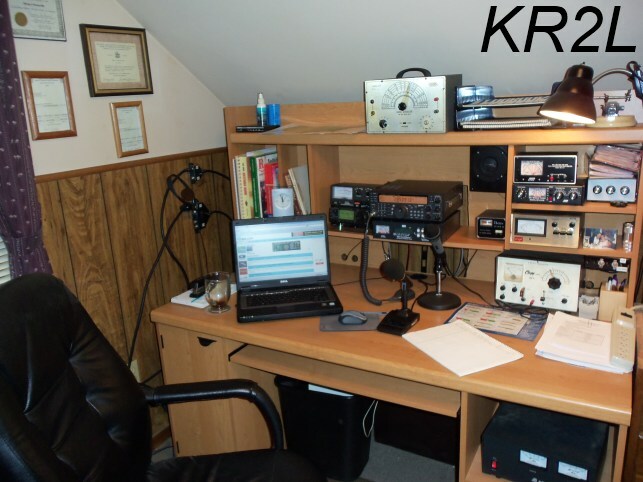 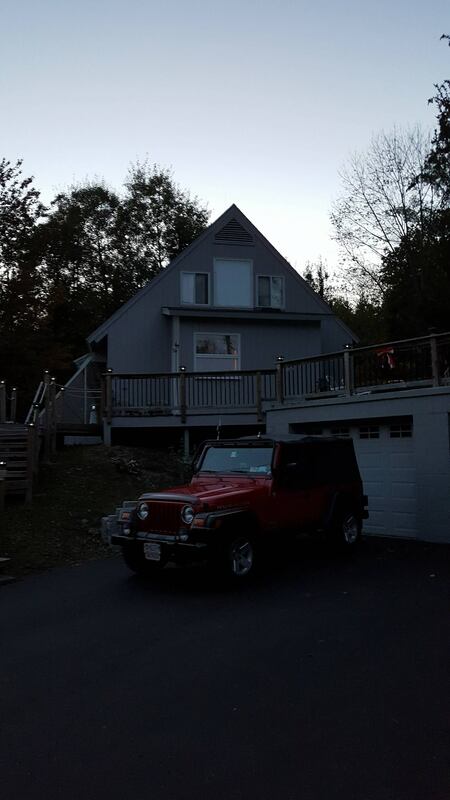 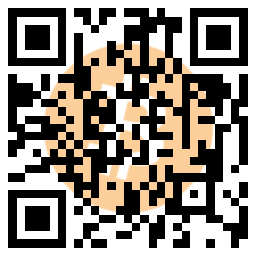 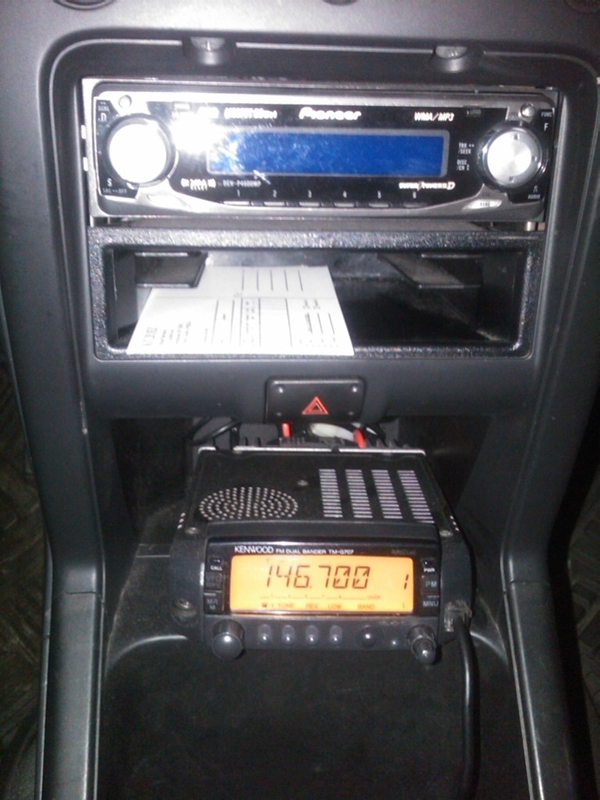 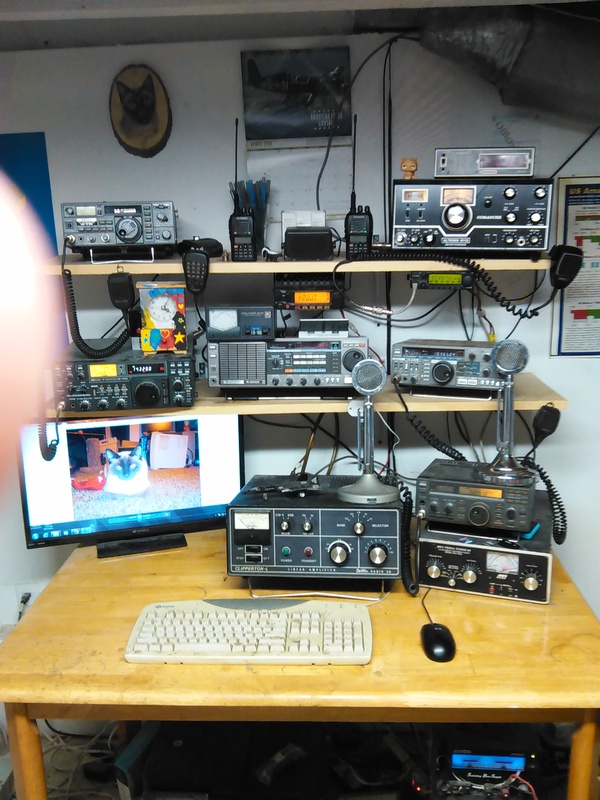 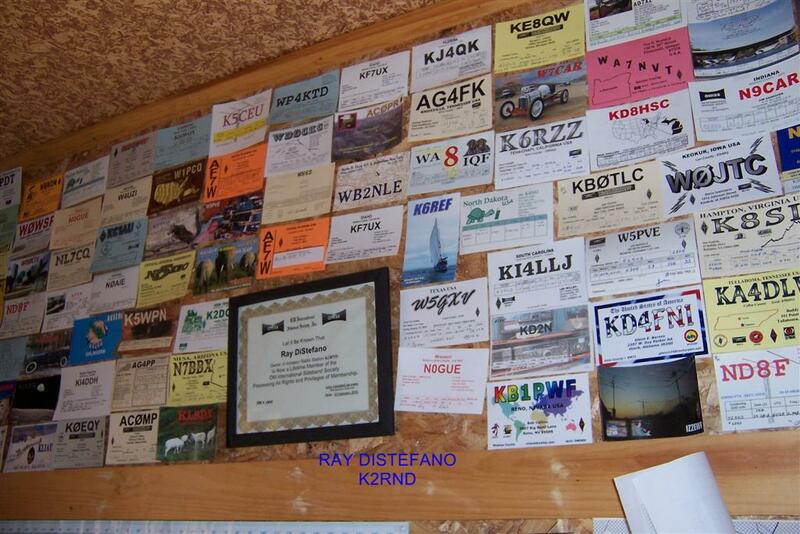 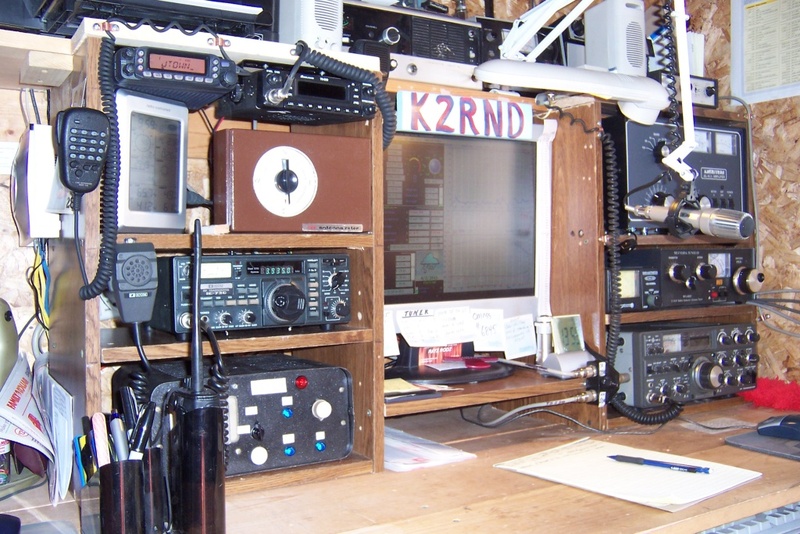 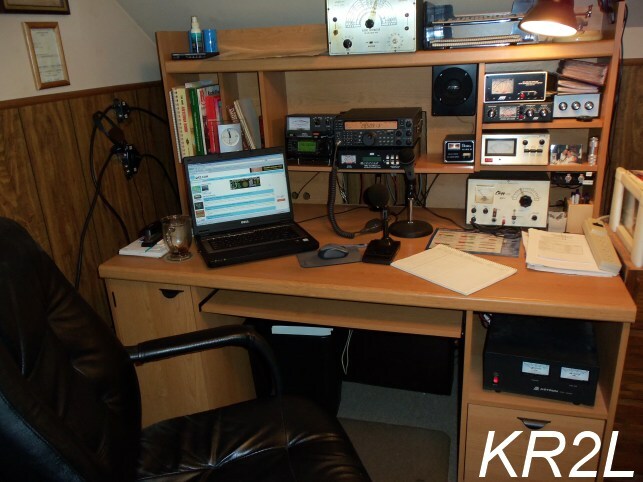 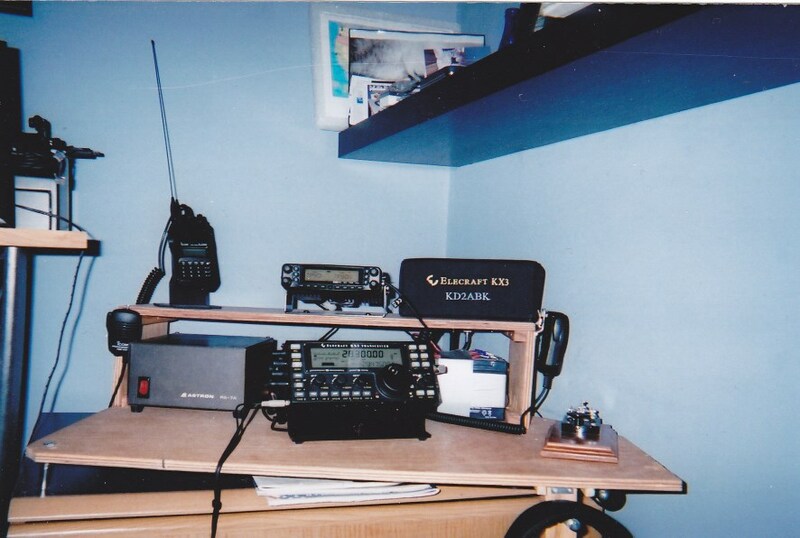 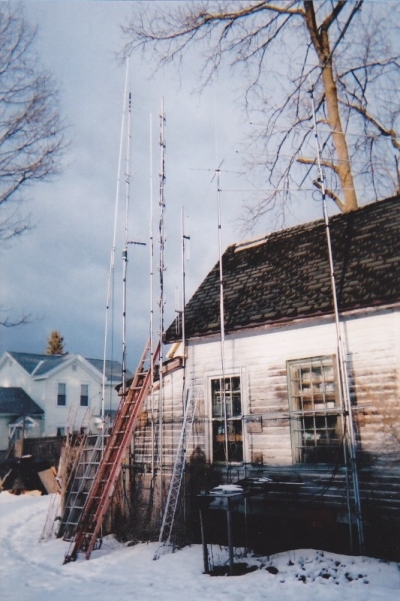 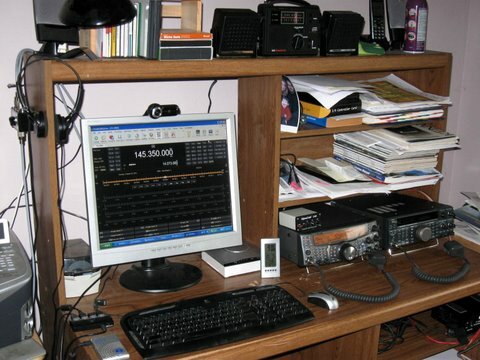 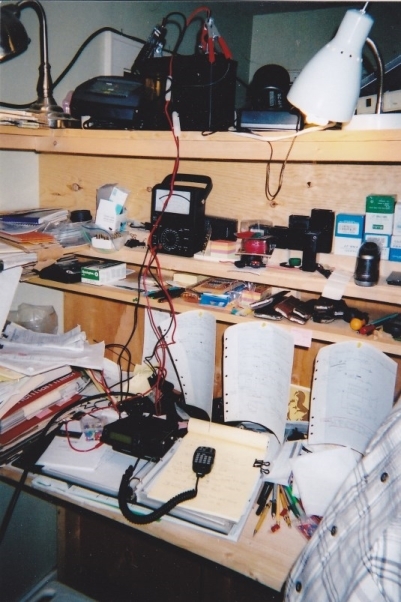 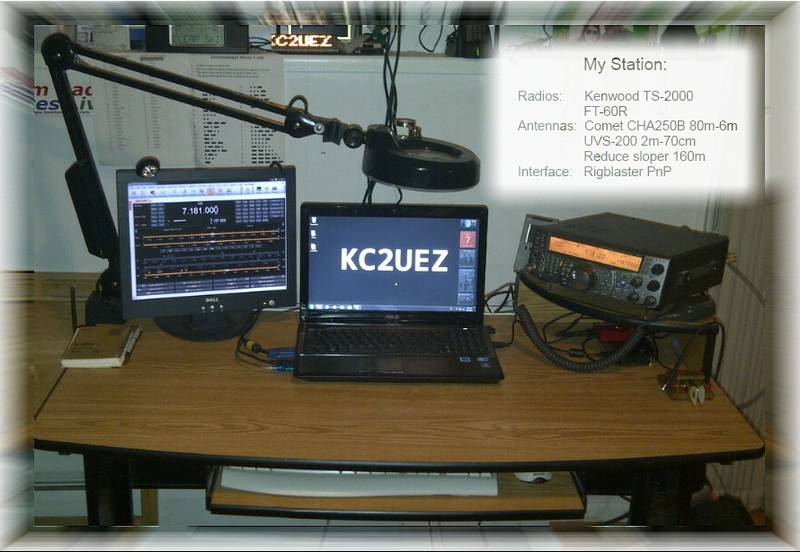 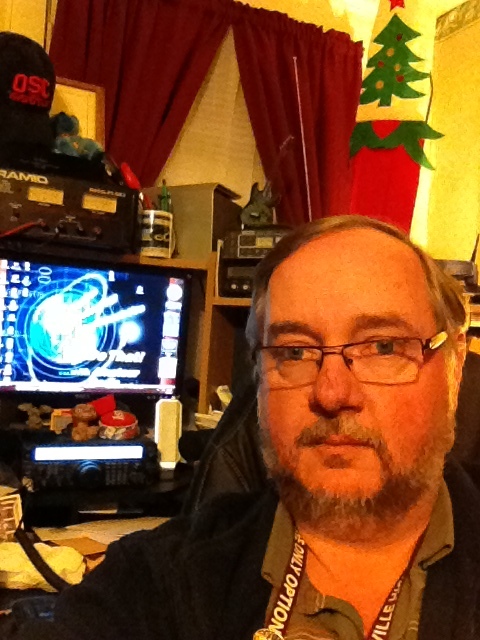 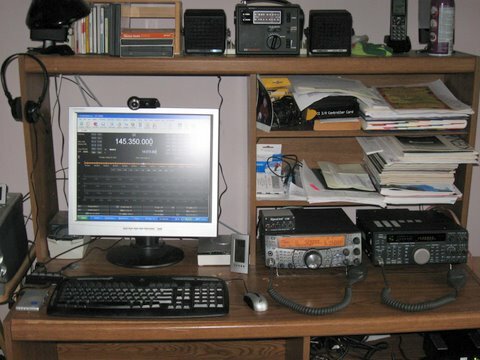 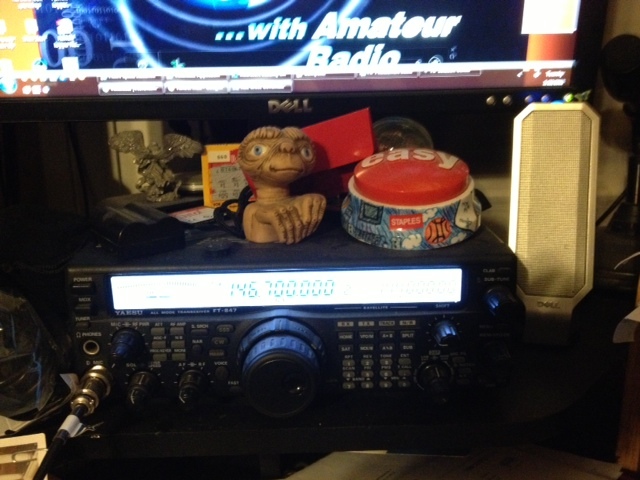 Please send pictures of your ham radio station to: webmaster at k2jji dot org to be displayed on this page.